Well, INMOS wasn’t the only company manufacturing TRAMs. This is a -more or less random- collection of TRAMs I was able to find in the WWW. This is my 2nd smallest TRAM by RAM size. 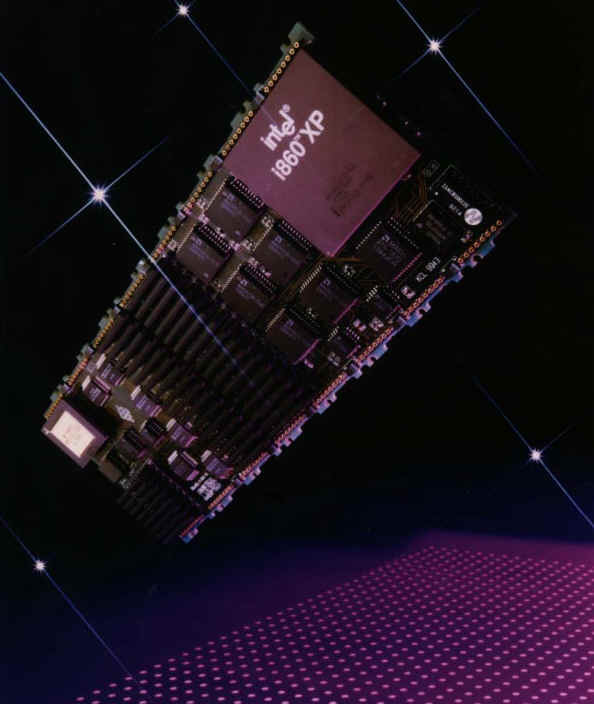 128KB SRAM. The silk-print says “TRAM-1-B” on the front and “TRAM-1-L” on the back. I guess they’re made in Germany as it’s usual to mark the front with B (“Bauteilseite”, component-side) and L (“Lötseite”, solder-side). This is my “standard 1MB” TRAM. 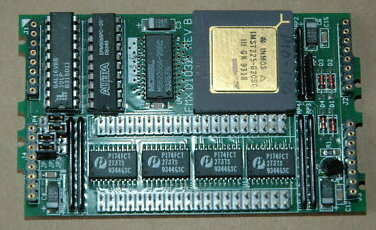 It’s labeled “ARADEX T805S“. It seems that the German ARADEX AG, originally manufacturer of cardbox packaging machines built their own TRAMs for their systems. It’s pretty highly integrated. 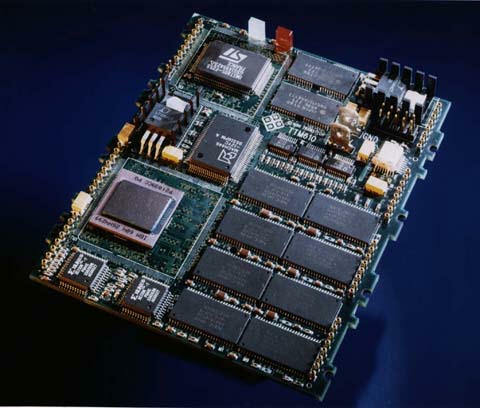 Some but not all of them feature an ALTERA EMP5016 PLD which hold extra logic for the additionally fitted subsystem pins..
Transtech was a quite big manufacturer of all-things-Transputer. They had a big range of TRAMs in their catalogue. 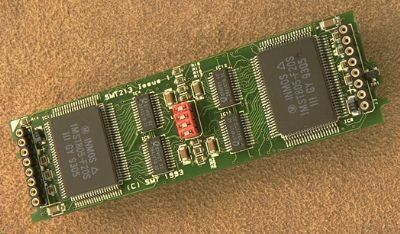 Pictured below are the TTM-1 (32KB SRAM), TTM-3 (1MB DRAM) and its successor TTM-7(1MB DRAM). The final TRAMs of Transtech were the TTM15(e) and TTM19(f), both using the SMD package of the T800 as well as the rest of the ICs. 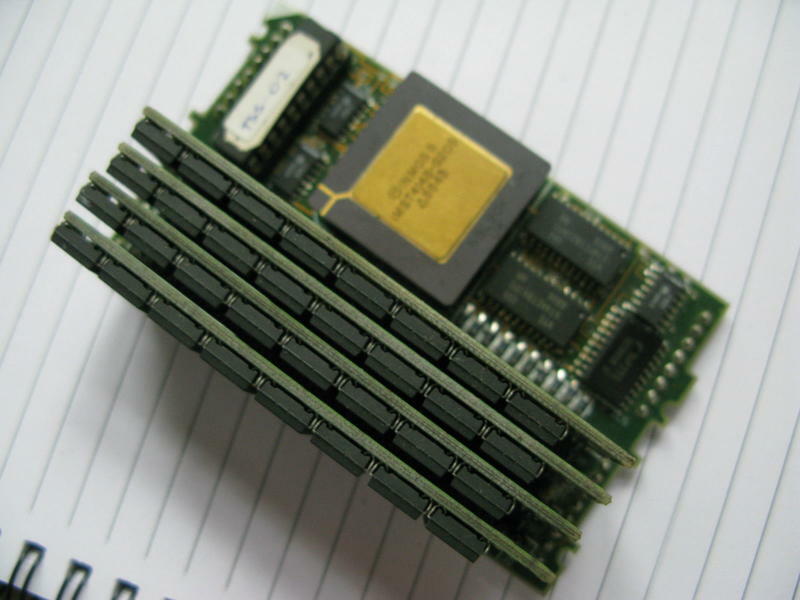 The TTM15E uses some interesting “Enhanced DRAM” from Enhanced Memory Systems Inc.. 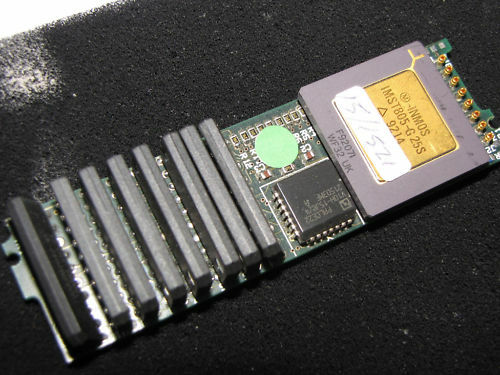 These include 2K SRAM in each 4Mbit DRAM chip, which increases the access speed to 12ns. Very neat, very hard to get-by today. Restoration impossible. Mind all the jumpers on the backside – obviously a lot is configurable here. 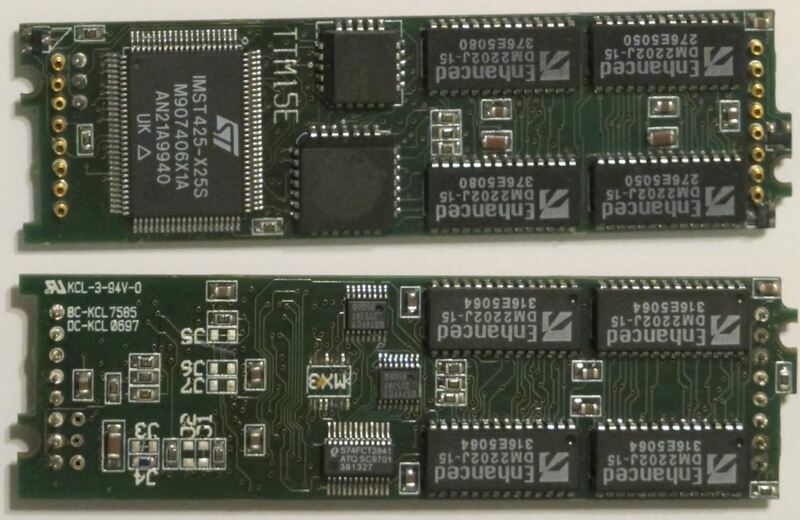 This is a special one: Two Transputers but no RAM. It’s labeled Alcor 2T. Very nice if you need lot’s of CPU-power and can live with the 4K RAM inside the Transputer. Sundance was another manufacturer concentrating on the Transputer business. 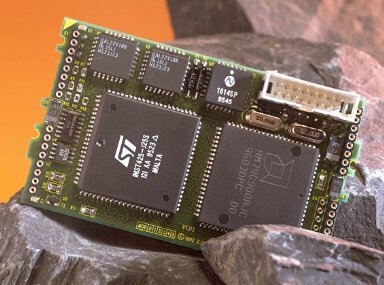 They made lots of TRAMs, this SMT213 is comparable to the Alcor 2T but features two T805 Transputers in SMD as well as 1 or 4MB DRAM per Transputer (on the back) and was built in 1993 which is near the end of the Transputer era. With 4MB I’d consider this to be the “Rolls-Royce of the TRAMs”. Yummy! 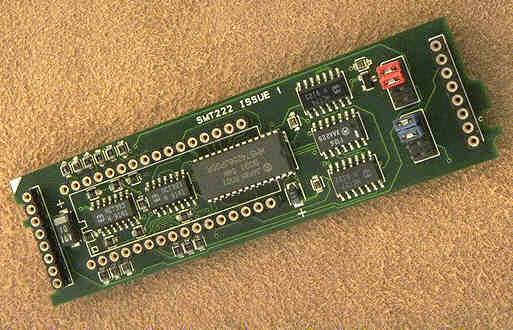 The SMT222 is an EPROM boot TRAM. 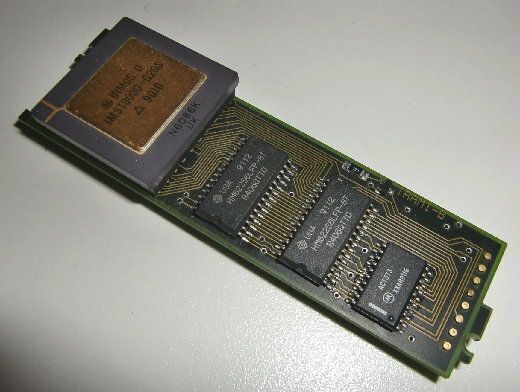 You can see the socket for a 64-512KB EEPROM, inside the socket is a C011 to provide the DS-Links to the Transputer network. 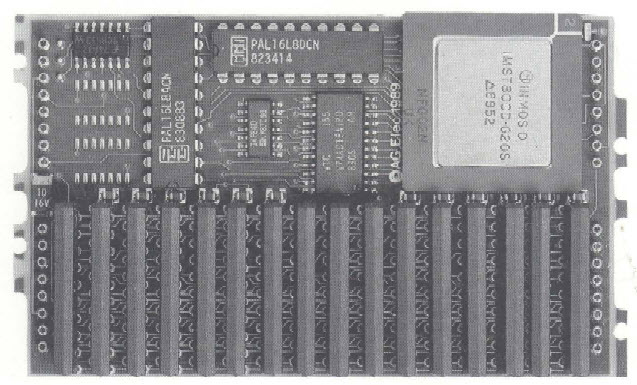 This is the SMT220, Consisting of a Z80 compatible micro controller (Z80180), a 32KByte SRAM data buffer, 512bytes of firmware and two C011 Link adapters, this TRAM is what I call an “RS232/485 interface overkill” – but I guess some industrial use required that. Another TRAM, using seldom used AAA4M204 SOJ DRAMs (4x1Mbit). The label says “Douglas Engineering TTM 15A/7A” (Not sure about the last number given the blurred picture I found). MSC (“Microcomputers Systems Components GmbH”) another pretty much unknown Transputer device manufacturer from Germany also made a SIMM-style TRAM and called it the B1T8-4M/A1. As with the TTM15E, some settings can be configured by jumpers on the backside. 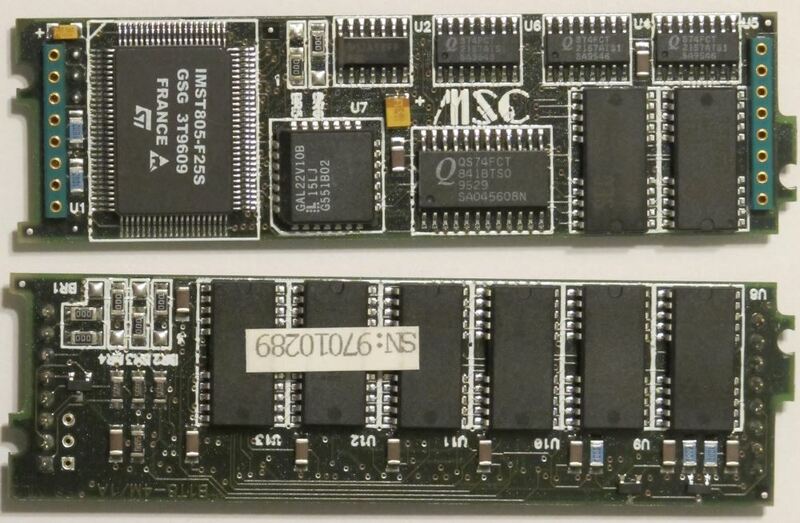 Next up, the STM228, a SCSI TRAM… something you want to get the most performance out of Helios or file-through-output in general. The SMT229 would be the other TRAM you want for a professional system. This is the most modern ethernet controller available. The Transtech TTM-6 is a comparably boring 2MB computing TRAM. It’s an older design, like the IMS B404. This seems to be some sort of I/O TRAM… lots of 74FCT buffers and a T225. It’s called FMX D1032. This is an interesting one: A TRAM of unknown origin using SIPPs – as memory(-expansion)! We’re now coming to the “Big Guns”. 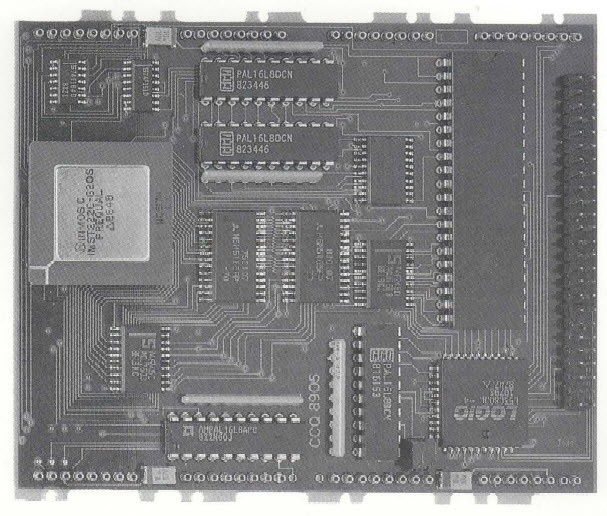 Starting with TTM11, another SCSI interface. 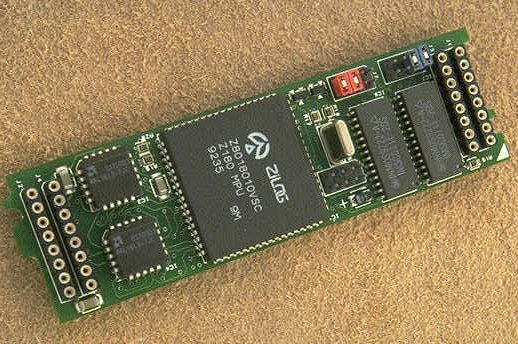 It’s older than the nice SMT229, so it only has a 16-bit T222 and some old SCSI controller (my guess it’s a WD93xx chip). This is where it starts getting funny. 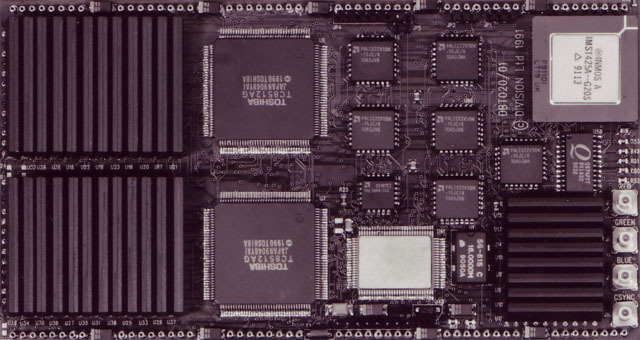 Because Inmos was struggling with the next Transputer generation, other CPU manufacturers presented new quite fast competitors, like the PowerPC from Motorola. 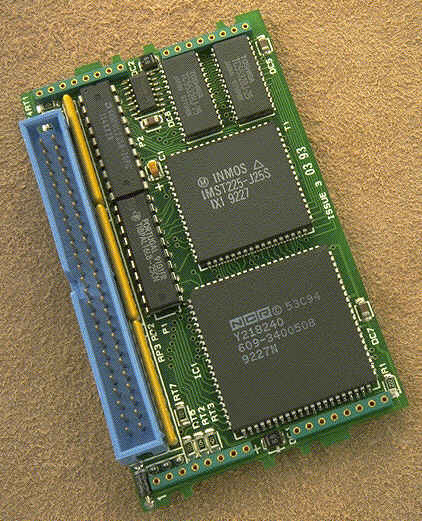 This Transtech TTM610 featured not only a T805/25 but also a 200MHz PPC603 or 604 with 16 or 32MB of RAM. Parsytec thought the same and presented the ‘PowerTRAM’, an 80MHz PPC601 on a TRAM. Well, and there’s a T425/25, too. If you like to know more, the Parsytec PPC systems have their own post over here. This is an graphics TRAM from “Division Ltd.” probably called DBT020/01. 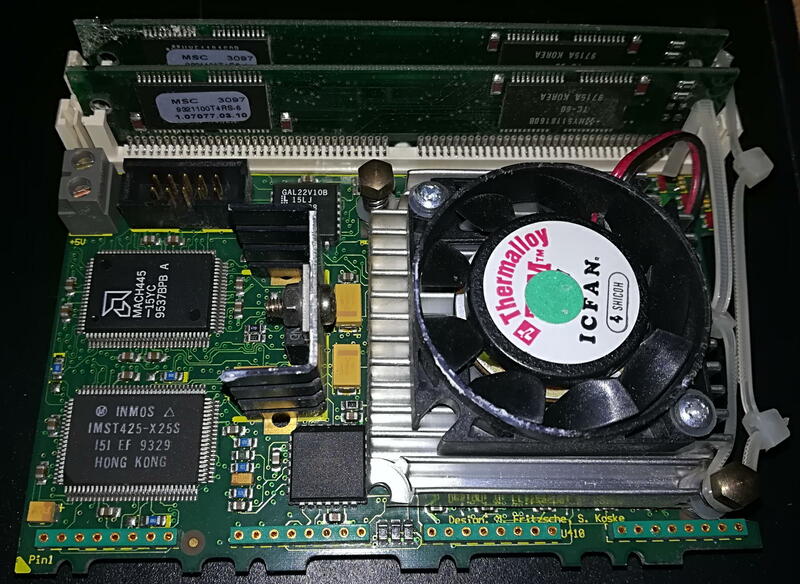 It features a T425 with its own 1 or 4MB RAM and 2 Toshiba TC8512 “Gouraud shading processors”, some VRAM and most likely an Inmos IMS Gxxx graphics controller. 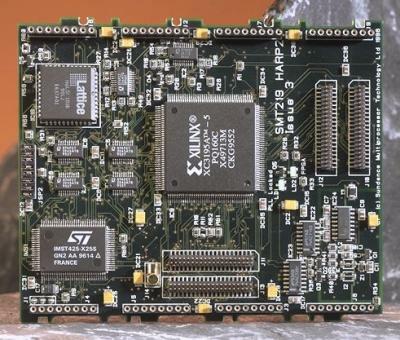 This huge beast is a TTM220 with 16 or 32 MByte DRAM coupled to both an Intel i860XP processor, and a T805 transputer. 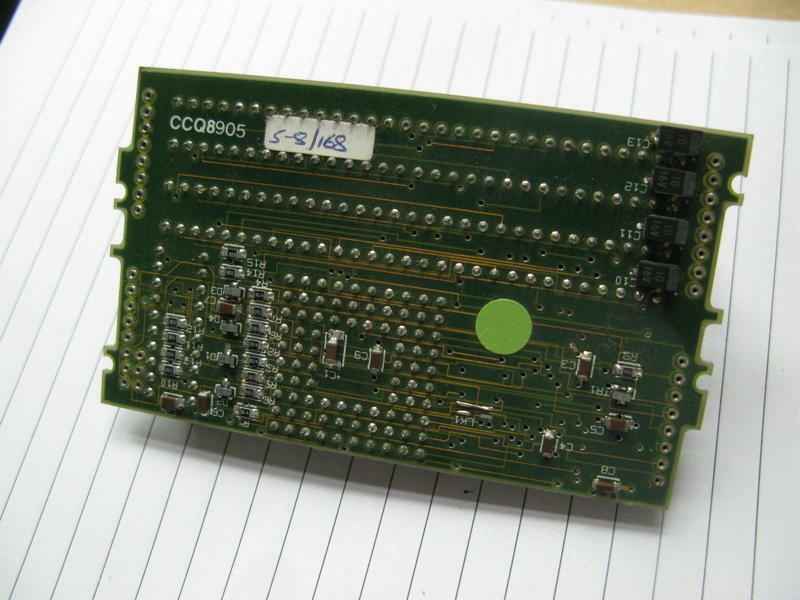 There was a bit smaller (size-6) version called TTM110, too. 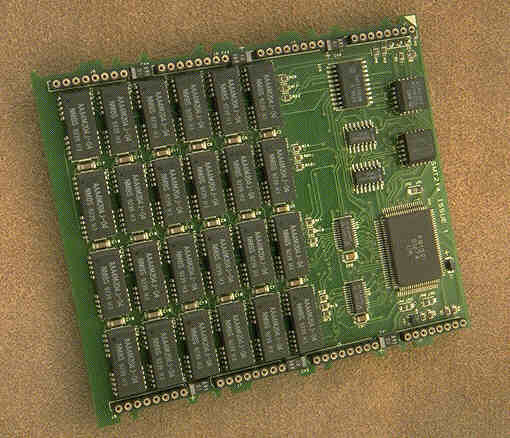 All in all it provided the same features like the DSM860 cards (well, despite the 32bit Transputer).